February is a popular month for snow skiing and snowboarding. Rounding out the official winter months often means a good season’s worth of snow and cold weather patterns continue to bring fresh powder to the mountains. TripAssure travel protection plans provide benefits for skiers who enjoy the downhill thrill. One of the first questions many travelers need answered is whether a plan includes an elevation limit. All TripAssure plans are available to cover downhill skiing regardless of the elevation of the ski resort. This means travelers can choose their favorite mountains and know that they are still protected by TripAssure. Ski resorts will mark the downhill slopes and other trails available to their guests. Staying on these slopes means skiers remain protected by their TripAssure plan benefits. Skiing off-piste, or leaving the marked trails for more extreme skiing are not covered activities. Some slopes have a rope lift, a magic carpet, or ski lifts. All of these types of lifts are one way to confirm the ski slope is a covered slope. However, a ski adventure involving a helicopter ride to begin the decent is a different story. Heli-skiing is not a covered activity. Avid skiers and snowboarders may already own and travel with their equipment. TripAssure plans offer an Optional Sports Coverage upgrade to protect personal sporting equipment. By adding this benefit, equipment that is stolen, lost, damaged, or delayed by a common carrier for 12 hours, the Baggage & Personal Effects and Baggage Delay benefits can be available. The former reimburses travelers for the cost of equipment that is not recovered or permanently damaged, and the latter reimburses the cost of renting replacement equipment while your items are delayed. Travelers who insure their pre-paid and non-refundable trip costs with their TripAssure travel protection plan receive the Trip Cancellation and Trip Interruption coverage benefits. This reimburses travelers their lost expenses if the trip is cancelled or interrupted for a covered reason listed in the plan. 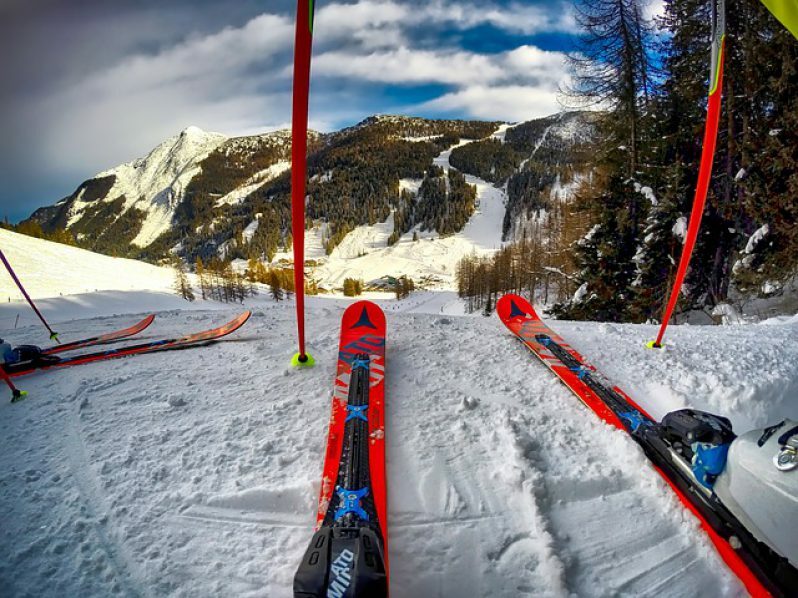 By adding the Sports Coverage upgrade to their plan, travelers can also include lift tickets, equipment rentals and lessons up to the amount listed on the schedule of benefits. These expenses aren’t always pre-paid, but can still be reimbursed if cancelled for a covered reason in the plan. TripAssure also offers Ski Mogul and Ski Mogul + plans. If you are interested in offering these plans, please contact TripAssure, or select Ski Trip as the type of trip when creating a quote online. This information is meant to be a summary of benefits available in TripAssure travel protection plans for ski and snowboarding vacations. For details, please always refer to the plan documents. Please also contact TripAssure with questions, we are happy to help.